The regional Tuscan system has deep connections with the Internet world. With 11.5 million visitors every year, tourism represents 12% of the regional GDP. The heart of Tuscany’s tourism strategy can be found online at www.turismo.intoscana.it, the only portal and reference point for tourists. Thirteen institutes, one thousand one hundred researchers, technicians and administrative staff, ten patents and over one thousand international scientific publications in the last year alone. The Pisa wing of the Consiglio Nazionale delle Ricerche is the nursery of made in Italy Internet. In this environment information technologies bring our country’s most precious cultural items back to life; physics, engineering, mathematics and biology support research in the medical and geological fields in a model unparalleled across the rest of Italy. Registro is the registry for .it domain names, the country code for Italy. From December 1987, with the launch of cnr.it, Registro manages all activities relating to the registration and maintenance of .it domain names by authority of the supernational body IANA (Internet Assigned Numbers Authority), today known as ICANN (Internet Corporation for Assigned Names and Numbers), which historically assigns IP addresses at an international level and manages the DNS. The Istituto di Informatica e Telematica of the CNR carries out activities of research, improvement, technology transfer and training in the sector of information and communication technologies and computational sciences. In tune with the strategies of the CNR ICT Department and the activities of the European Union’s Seventh Framework Programme, IIT naturally and concretely has its sights set on the Internet of the Future, from the perspective of both algorithmic modelling and applied technology. The Scuola Superiore Sant’Anna is a special status public university, dedicated to the study of applied sciences. The university owes its quality, international fame and particularly its results to the special attention it pays to each and every one of its students, who are selected by a tough admission examination. The University of Pisa is one of the oldest and most prestigious Italian universities and ranks among the top 150 universities in the world. It is the only European university to take part in the Universities Research Association, a consortium of prestigious (and mostly American) universities. The University of Pisa – with the Comune di Pisa – was the first Italian institution to set up its own telematics network in fibre optics to connect university facilities and city research. Nowadays the Scuola Normale Superiore is an elite university founded on the principle of equality. The school rewards the talent, merit and potential of its students regardless of their economic and academic background. It aims to create well-cultured academics, professionals and citizens who have a strong critical mind. The Camera di Commercio is an open institution closely connected to the economic activities of the city, interpreting its voices and values and promoting development through real services. Connected to the national Chambers network (Unioncamere Toscana and Unioncamere Nazionale) and the European Chambers network (Eurochambres), integrated with other national bodies, supported by Entrepreneurial Associations, the Chamber represents the gateway to Public Administration for businesses, the meeting point for production and State activities. 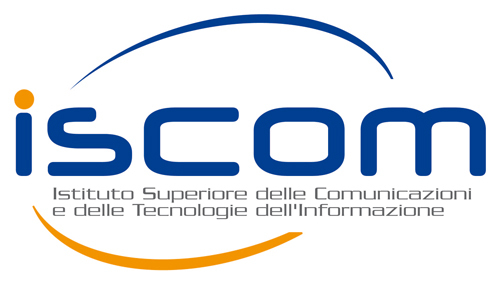 Over time the Provincia di Pisa has placed city administration and information communication technology side by side. An important example in this regard is the Polo New Tech: a science and technology centre in Navacchio, supporting the innovative development of small businesses. The Provincia di Pisa is also praiseworthy with regards to the share of GDP it invests in research and development (3.5% compared to a 1.1% national average). The Festival della Scienza is a meeting point for researchers, enthusiasts, schools and families. It is one of the biggest events in the world whose aim is to make science accessible to a wider audience. The association comprises important Italian science bodies and institutes. Each year it organises a 13 day event in Genoa, breaking down the barriers between mathematics, human and natural sciences, allowing you to touch, see and understand research without borders. Realizza progetti e iniziative nell’ambito della comunicazione digitale e del web 2.0, concorre alla diffusione dei processi di innovazione tecnologica e riduzione del digital divide, agisce sul fronte della promozione turistica on line, progetta e organizza festival culturali ed eventi complessi. Sostiene inoltre progetti e attività in campo cinematografico e audiovisivo, cura il patrimonio pubblico di migliaia di film d’autore e documentari della Mediateca e gestisce le attività della Toscana Film Commission.